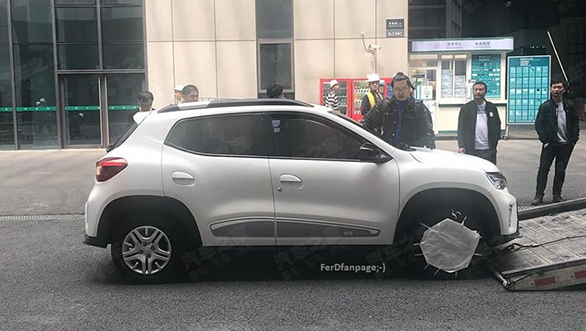 With the electrified version of the Renault Kwid hatchback revealed at the 2019 Shanghai Auto Show, dubbed the City K-ZE, a new set of images show that the facelift of the Renault Kwid has been spotted in the international markets. 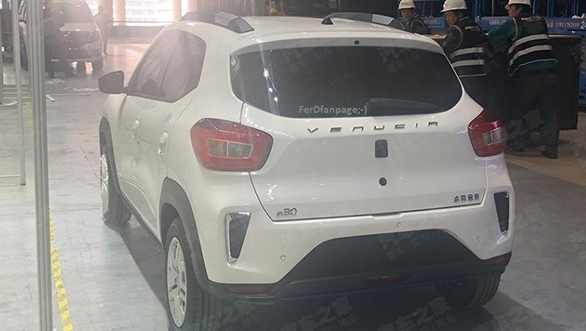 The spotted hatchback sports the Venucia E30 badge which we believe is the name for the electric Renault Kwid in the Chinese market. 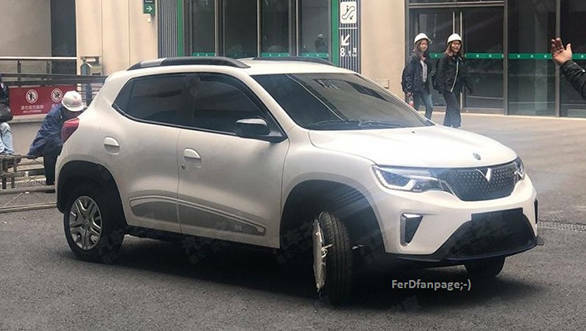 However, the fascia hints that the Renault Kwid hatchback would look very close to the car spotted in the recent spy pictures rather than the complete revamped fascia of the Renault City K-ZE (Kwid EV). The Renault Venucia E30, could be brought to the Indian market as the Renault Kwid facelift gets a redesigned grille and headlamps. The headlamp elements are designed to be sharper and are highlighted in an aluminium finish. The air dam is larger and gone are the circular fog lamps. The turn indicators seem to be moved to the ORVMs unlike the ones integrated into the fenders that we see on the outgoing car. On the rear, we see a rehashed set of tail lamps and a slimmer diffuser which houses a stop lamp in it. The dashboard layout will be familiar to the current hatchback, although the facelift Kwid may get an upsize infotainment screen with added features such as - voice recognition. Cabin air purifier - a feature we recently saw on the Renault City K-ZE (Kwid EV) could make its way into the facelift Kwid hatchback. The AMT (Automated manual transmission) hatchback will have the drive selector dial mounted on the centre console rather than on the dashboard underneath the infotainment system. The Kwid facelift will see the same engine options, 0.8-litre and 1.0-litre both three-cylinder petrol units. Former producing 54PS and 72Nm while the later produces 68PS and 91Nm of torque. Both the engines come mated to a five-speed manual transmission while only the lager displacement one gets the option of an AMT. The facelift is expected to be unveiled later this year and the car will rival the likes of the Maruti Suzuki Alto 800, Maruti Suzuki Alto K10, Datsun Redi-Go and the Datsun Go. Tags: Renault KWID | Kwid | Renault KWid Facelift | facelift | Launch Alert | Renault India | Kwid EV | EV | Renault City | Renault City K-ZE | kwid amt | KWID MT.